It’s hard to plan for an emergency, but you can help yourself remain calm in the face of a dental injury or other urgent situation by learning what to do when one happens to you. 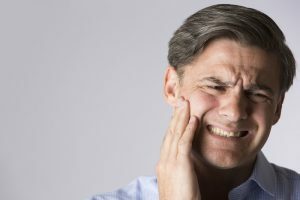 Your emergency dentist in Jacksonville provides prompt treatment for these and other issues — keep reading to find out just what we recommend you do when the unexpected strikes you or someone you love! Call your emergency dentist in Jacksonville immediately after you experience a dental emergency. When you do, we will offer first-aid tips based on your particular situation. You should collect and store any larger broken or missing pieces for possible reattachment. Store a missing tooth in a cup of water or milk, and take an over-the-counter pain medication to reduce discomfort. You can also apply an ice pack to the affected cheek to reduce swelling. Rinsing the mouth with warm salt water can help to ease the discomfort caused by an aching tooth. If you suspect you are dealing with a dental emergency, it’s no time to be brave. Do not hesitate to get in touch with Dental Center of Jacksonville for prompt, professional attention! We will have you out of pain and on your way in no time.